A primitive mashup of crime data from Los Angeles's "Open Data" initiative, merged with the cities topography. My goal was to explore manipulating accurate data in elementary ways. The space between data as a source of information and data as a compelling image has been a point of contention for me. This project became a space for me to investigate this conflict. Given more time I would have liked to work with this in a series to better communicate this tension. Due to the short time frame of this project I decided to focus on the process and use what I learned from it to further inform my practice. I used Python to create the data mashup of various types of crime, from burglaries to wastewater infractions and generate a heatmap. The heatmap was then crudely dumped on top of a highly accurate elevation map generated by MicroDEM a program obtained through the U.S. Naval Academy website, using data sourced from The CGIAR Consortium for Spatial Information. 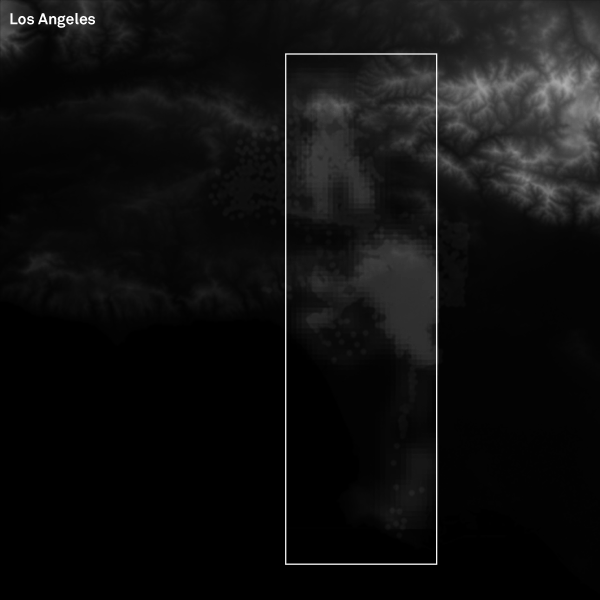 Animation showing the growth of crime laid on top of the original elevation map of LA. The final map was extruded using Blender. Sliced in Autocad and then lasercut as two separate maps, the real map of LA and LA reshaped by a mix of crime and misdeeds. What you see in the images below is a new city, a city geo formed by the most unsavory elements of Los Angeles. 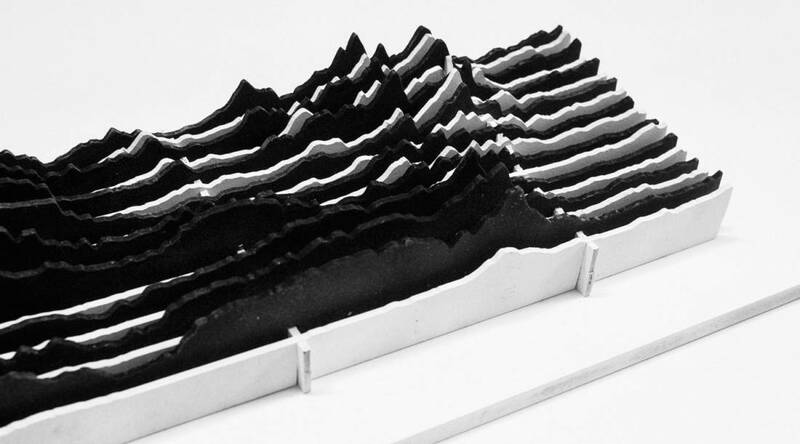 Practically speaking the project was an experiment in data visualization and manipulation that introduced me to new methods of 2D and 3D creation.